SO EXCITED about new photographs! And we want to share them RIGHT NOW and with EVERYONE. But think about the memories these photos hold. 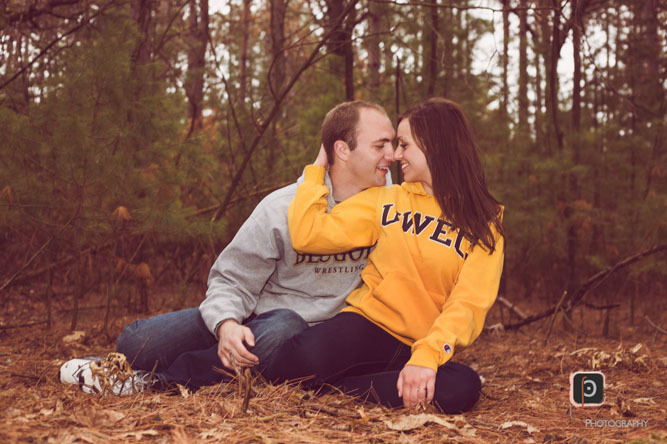 Whether an engagement session, a wedding, a family photography session, a photograph preserves a moment in time. And when you want to revisit that moment, are you going to scroll back in your timeline? Or do you want to sit down with a photo album? A photo album is something so much more precious than a digital image. It appreciates with age. It’s something you can touch. Something you can sit down with your grandchildren and share. 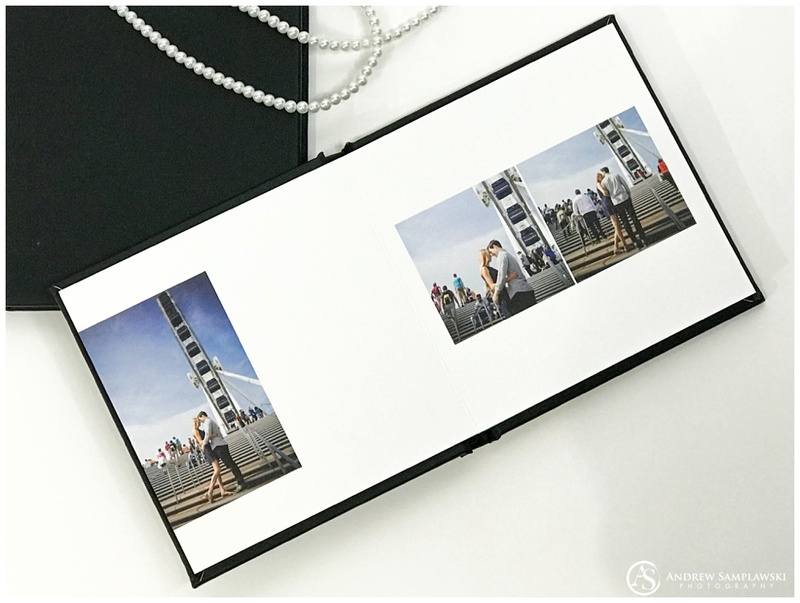 Like the smell of leather-bound hard cover book or the sound of a vinyl record on a vintage record player, a photo album has a certain romance, nostalgia and emotional value. 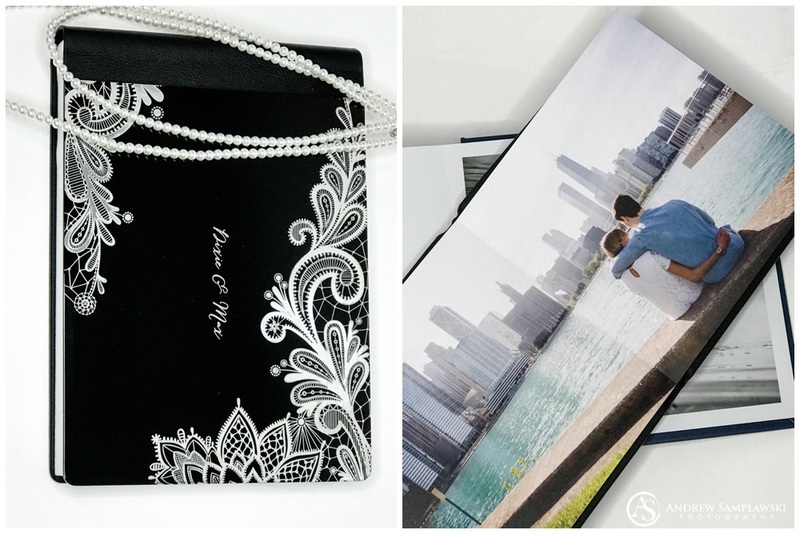 With that said, here are a few more reasons you should consider investing in a photo album. the color-scheme in your bookcase. Not only that, but it’s easy to pull a photo album off the shelf and instantly enjoy the memories. Think about the technology from 15 years ago. If you have a VHS tape, it’s HARD to access that technology now. Imagine if the idea of a USB drive becomes obsolete! You might not be able to access those precious memories. But an album? An album is timeless. No need to charge up an old device—you can just open it and enjoy. Hanging a single beautiful portrait shows off a single moment. Maybe it’s your “I Do” or a romantic image from your first look. But a photo album tells the story of the whole day. 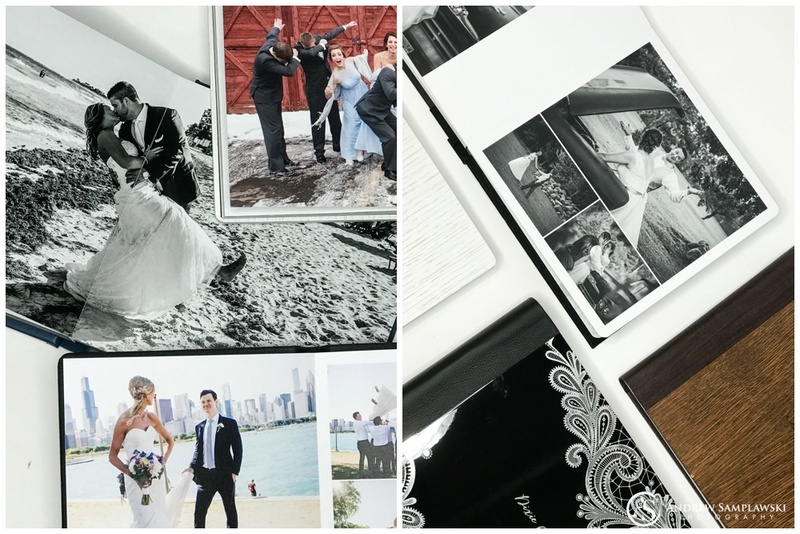 From the exciting moments of mimosas with the bridesmaids to the final dancing shots on the dance floor, you can relive the moments of your wedding day easily with a photo album. 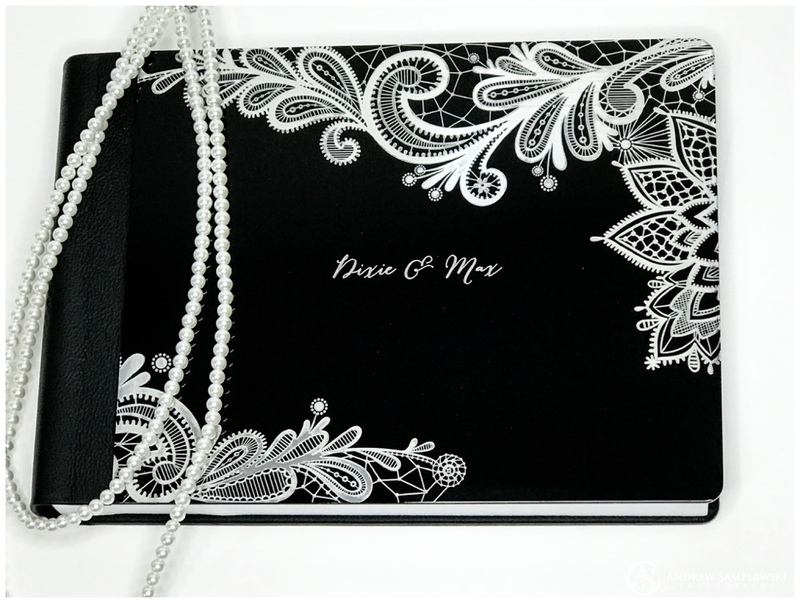 And remember, a photo album doesn’t have to only be for weddings! Imaging sharing the images from your family session with your children when they are grown! Preserve the fun and laughter from your senior portrait session to be able to give as a gift to grandparents when you graduate. 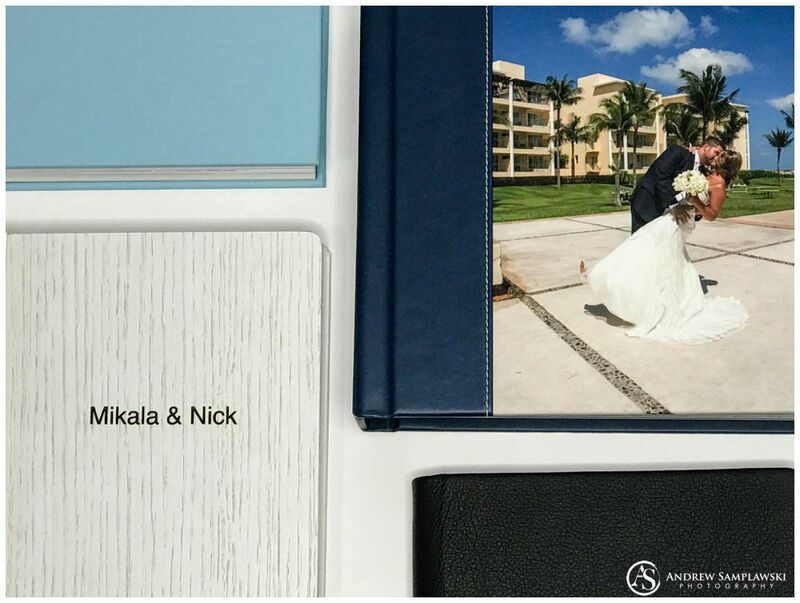 An album preserves the details, and those are a huge part of your day. It’s easy to assume that all our social media and social sharing sites will be around forever. But what would happen if Facebook changed their photo retention settings? Where will your images be in 10 years? In 20 years? Technology is evolving constantly, but a photo album will be there forever. Imagine, a century from now, your great-great grandchild finds your wedding photos on a USB drive. Will they be able to enjoy those images? Now, instead, imagine that they find your wedding album. They can immediately enjoy those memories and have a connection to the past. A high-quality album will never be obsolete. Photo albums can be treasured forever, if cared for properly. 4. Albums are a part of the collection! Because I feel so strongly that an album is an integral part of a wedding photography collection! 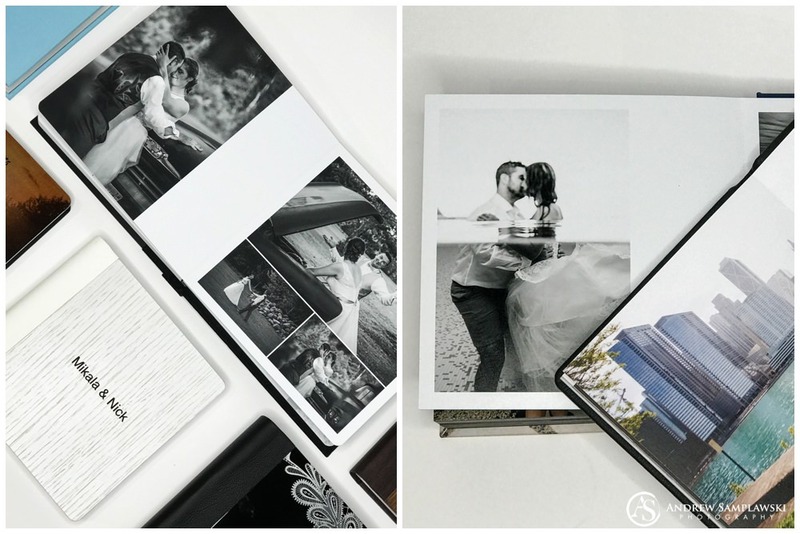 Most of my wedding collections already include albums, or a book to share your pictures from your engagement session. 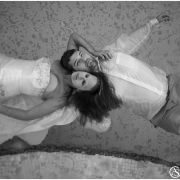 Your photo album is not an extra, it is an integral part of your wedding photography and the full service I provide as your professional wedding photographer. This includes senior portraits and family sessions – your albums are pre-designed for when you arrive for your viewing session at my studio. 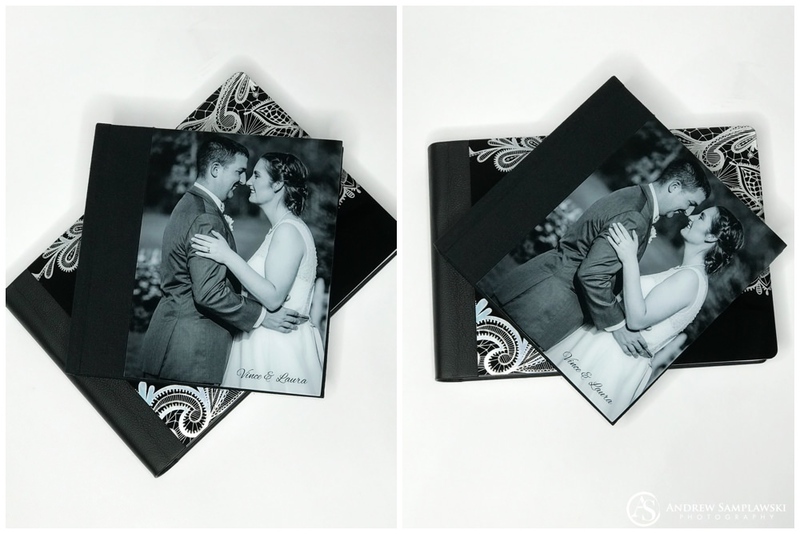 Not only do I offer photo album options, there are also ways for you to truly make your photo album your own. 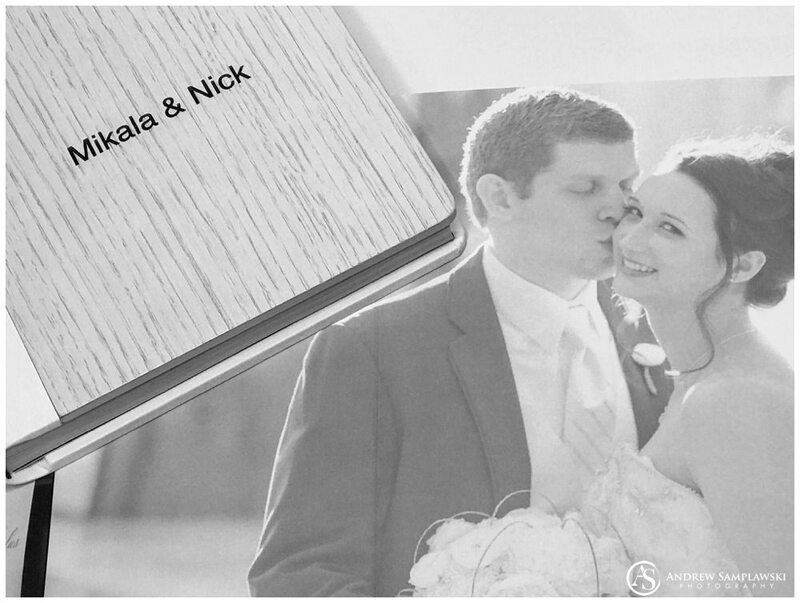 Choose from 5 different sizes and over 50 cover options included with our Sicilian and Lux wedding albums. 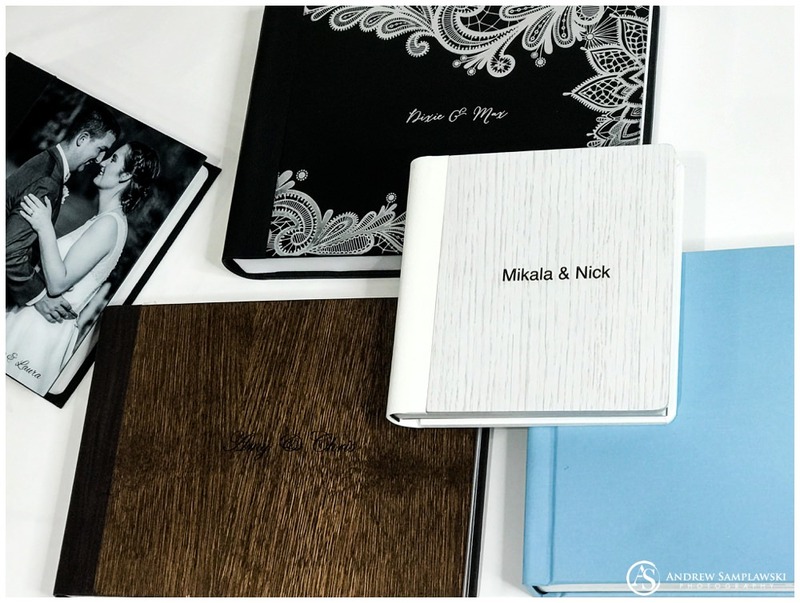 From elegant engraved metal to rustic oak, embossed leathers, silk, canvas, acrylic, and even more—your album will truly be a work of art. 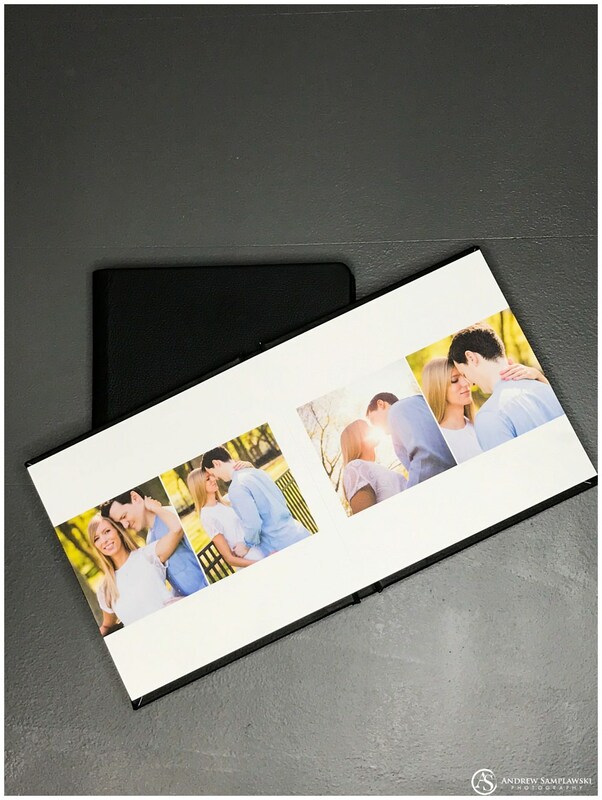 Not only that, but I also offer parent or companion albums, additional pages with your favorite images, and an album memory box to keep your album protected from dust. The keepsake box also makes it easier to transport. I know you’ll want to show it off to friends and relatives! There’s a big difference between seeing a couch online and flopping down on it in a store. Likewise, I can describe your albums in the dreamiest terms and it’ll never compare to you feeling its fabric cover, turning its heavy pages, and seeing how luxurious the colors in your images look on a printed page instead of a computer screen. So, I want to invite you to come down to the studio and see for yourself. I have some amazing, beautiful albums for clients to look through here in the studio. 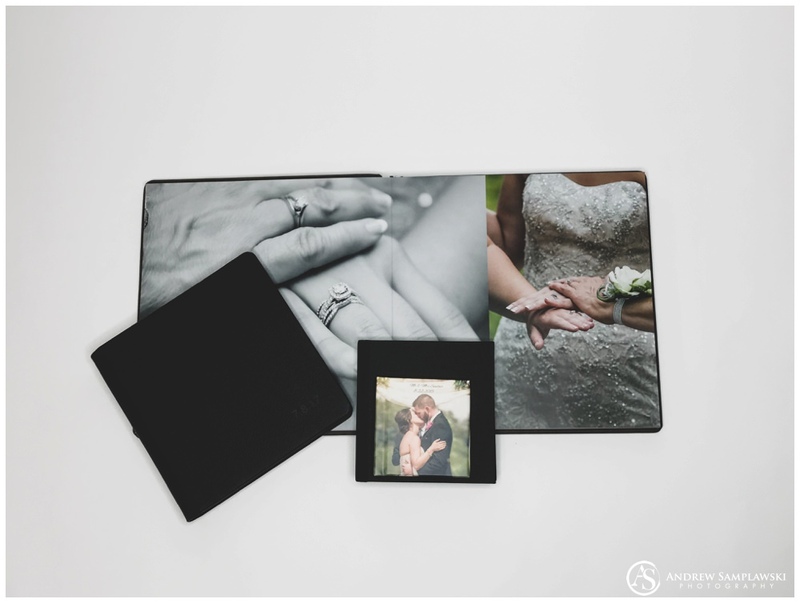 It allows clients to not only see the album styles, but to see what a full wedding looks like. I love being able to share stories from past clients and their weddings. Not only that, but I understand that people are visual. 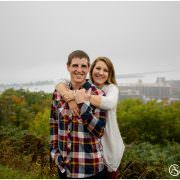 So, I know how helpful it can be to see other weddings while planning a wedding! 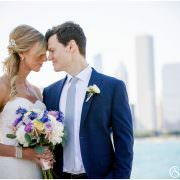 Grooms, you can browse through previous weddings to see what suits look like in different colors and see some different styles to get a feel for what you want to wear. Brides, I am sure you’d love to look at images of bouquets, centerpieces, bridesmaid dresses, wedding themes, and more. Coming into the studio will allow you to see the entire picture of what I offer in my photography packages and, as a bonus, a little bit of wedding inspiration. 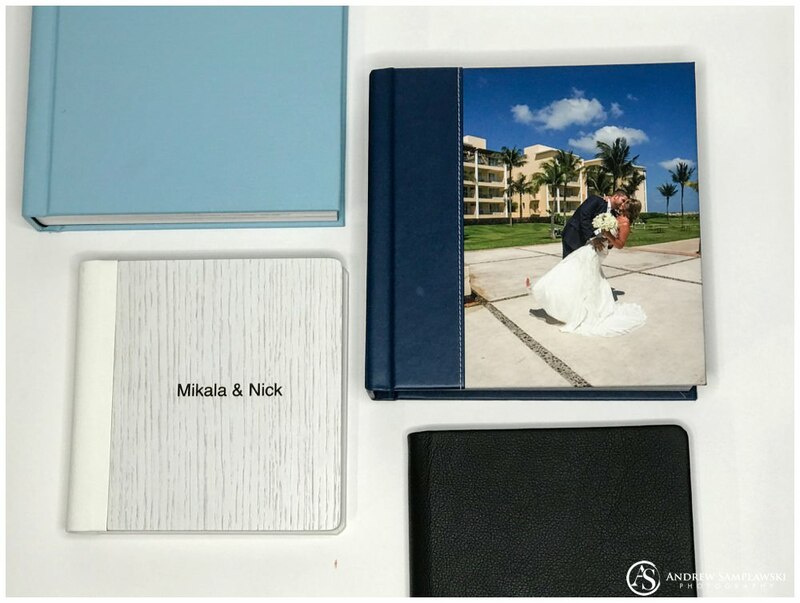 I would love to be able to meet with you to talk more about photo albums and how we can design an heirloom quality photo album of your stunning images. Please don’t hesitate to contact me. Please come down to the studio to enjoy these albums in person. 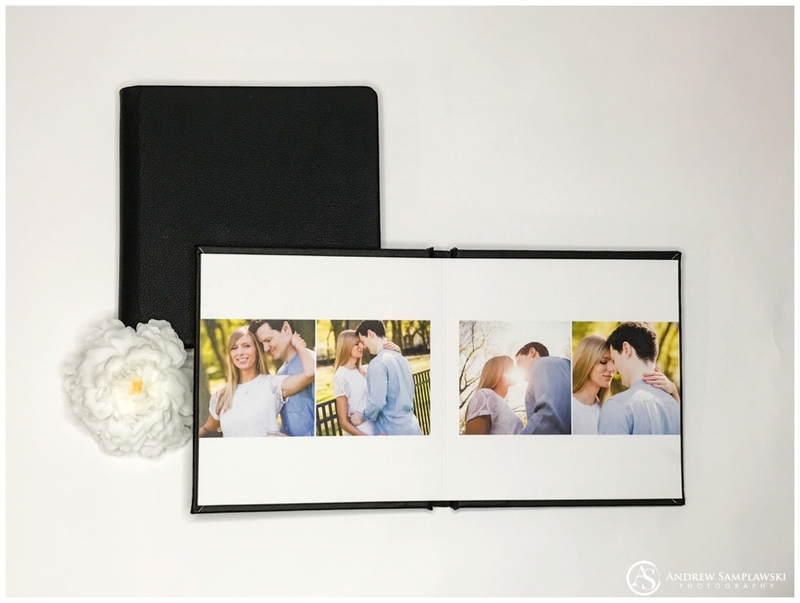 I can’t wait to tell your story in a beautiful photo album all your own.